Made in USA. The regular 40-Strike book. This version is our domestic style for faster turnaround. 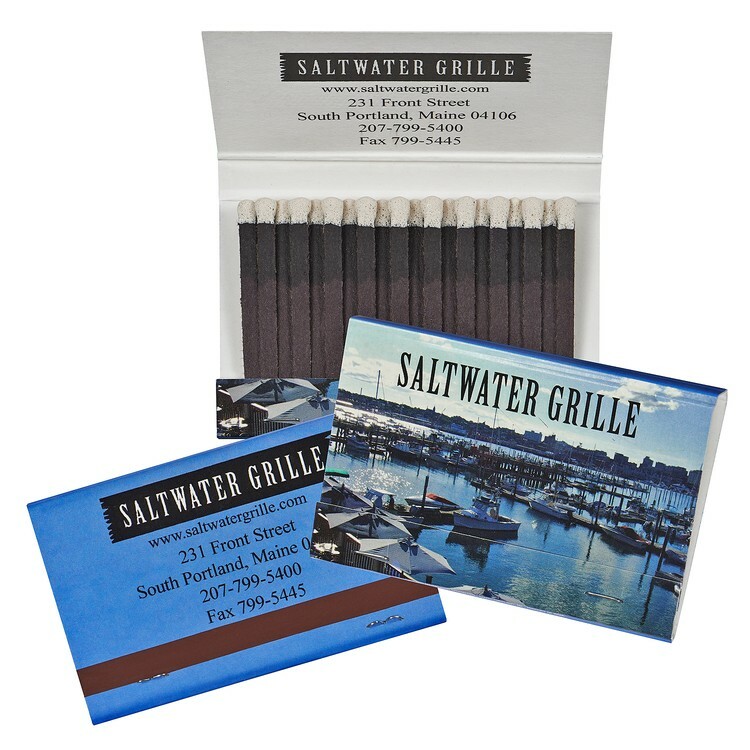 Each book contains 40 black stems with white match tips. Perfect for lounges, bars, restaurants, music venues, and more! "Base Price" includes 1-color imprinting on entire outer cover (except striker).